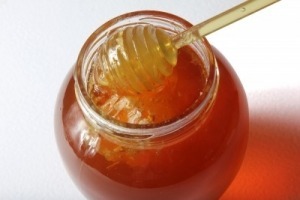 Interestingly, if you were to isolate out the fructose from honey, and consume it in isolation in American-size doses (over two ounces a day), it would likely contribute to over 70 fructose-induced adverse health effects; primarily insulin resistance, fatty liver, obesity, hypertension and elevated blood sugar. But place that fructose back into the complex nestled background of nutrient chemistries we call honey, and the fructose loses its monochemical malignancy to our health. Food is the ultimate delivery system for nutrition. Reduce whole foods to parts, and then concentrate and consume them excessively, and you have the recipe for a health disaster that we can see all around us today in the simultaneously overnourished/malnourished masses who still think a ‘calorie is a calorie,’ and a ‘carb is a carb,’ without realizing that the qualitative differences are so profound that one literally heals, while the other literally kills.